Dunn Vineyards dates from 1979 when Randy and Lori Dunn purchased their original 14-acre property high on the slopes of Howell Mountain. The old home on site was actually used as one of the Stagecoach stops between Pope Valley and the Napa Valley. 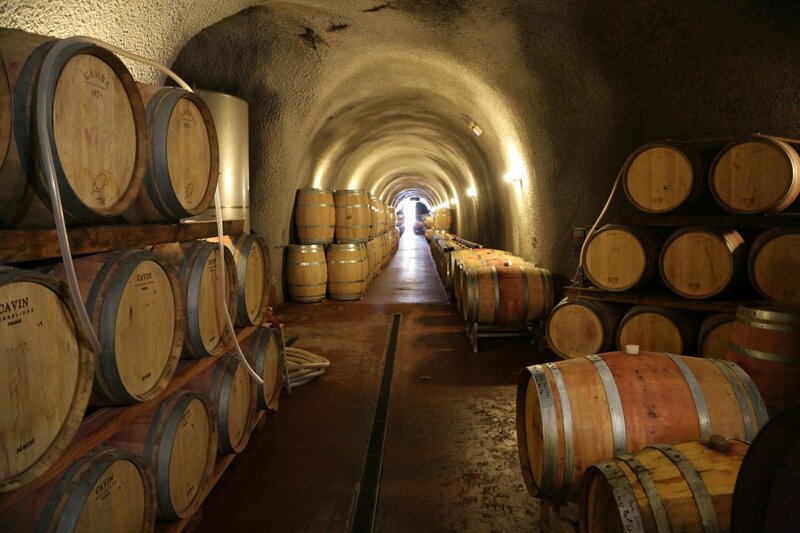 Dunn’s first commercial vintage was in 1981 making them one of the oldest continuously producing wineries on Howell Mountain. 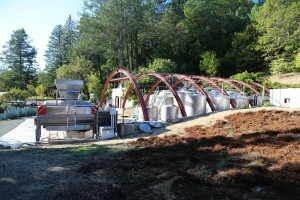 This is a small family owned winery and they are not setup for general visits & tastings. You won’t find them on any tourist maps; it is a private wine estate. 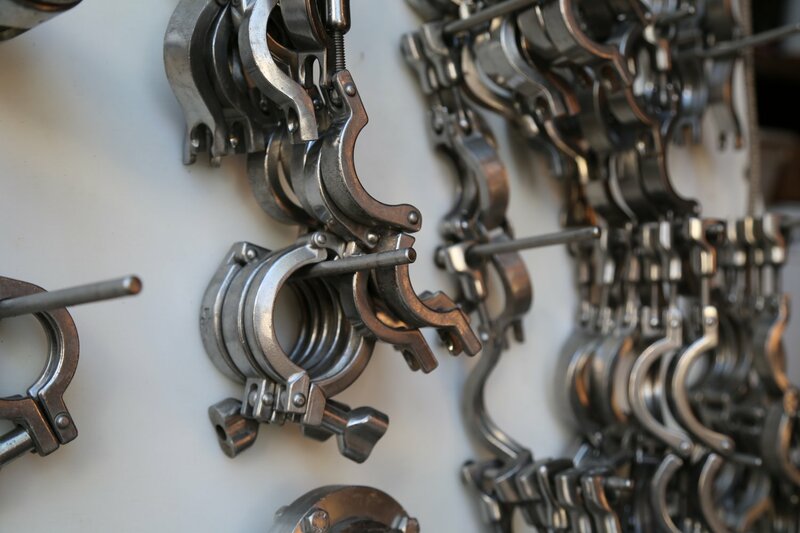 If you have enjoyed their wine before and are a serious wine enthusiast and collector you may request a visit but note that they are not open to the public. 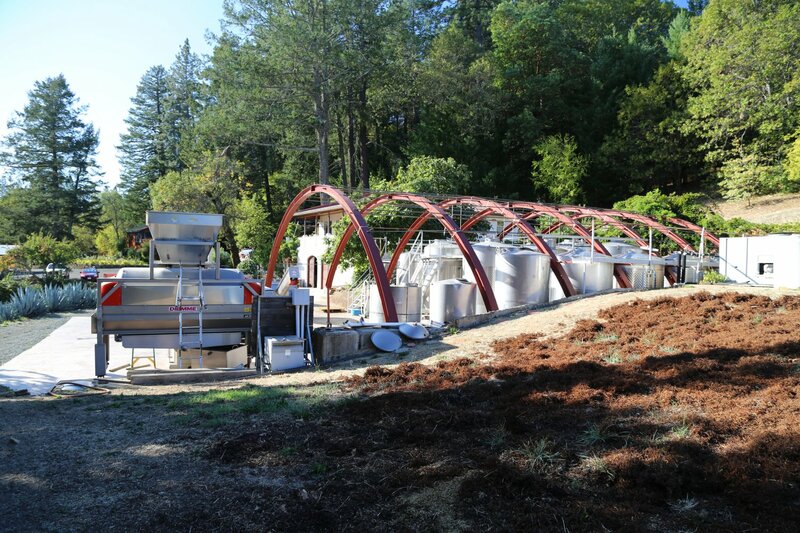 Over the years that we have been working on this project, we have met a number of Howell Mountain vintners who have been influenced by owner Randy Dunn – i.e. he has helped them with their initial wine-making and or provided advice on a variety of vineyard and wine-making matters. Randy was originally studying Entomology (a branch of Zoology focusing on insects) at UC Davis when he made some home wine with with a professor. Hooked by the process of making this initial wine, Randy soon switched his major to Enology. He took his first job in Napa Valley working for Caymus Winery. 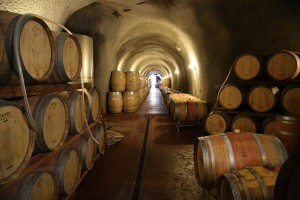 Howell Mountain was Napa’s first sub appellation – gaining it’s status in 1983 (same year as Carneros). Randy was was one of the founding vintners who laid the groundwork for creating the Howell Mountain AVA along with vintners’ Bill Smith, Mike Beatty and Bob Lamborn. Randy and Lori’s children are actively involved in the business – their son Mike (who has his own label Retro Cellars) and daughter Kristina both work for the winery. 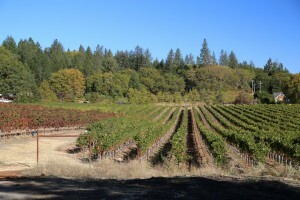 Dunn Vineyards is located in a very rural part of Howell Mountain and the vineyards are surrounded by native vegetation. Randy and Lori actually purchased 63 acres of additional nearby land and then quickly donated it to the Napa Land trust so it will never be developed. This is the refreshing type of philosophy they have in regards to keeping a natural balance between the native vegetation and their vineyards. During several visits, we have walked some of their vineyard blocks; between all of their vineyards, the vines are planted at an elevation of approximately 1800 to 2000. Their vineyards do not dominate the landscape like on the valley floor – rather there is plenty of nearby forest land. 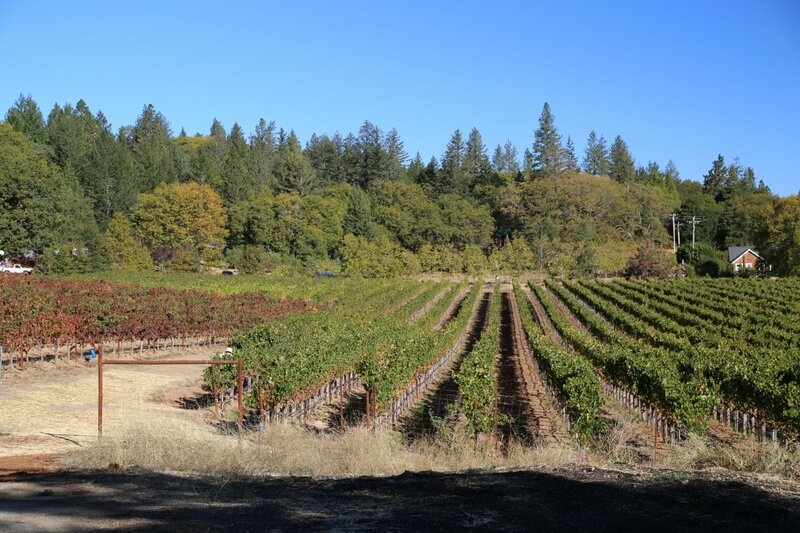 Today the family farms 43 acres of vines spread over 5 distinctive Howell Mountain sites, four of which they own. 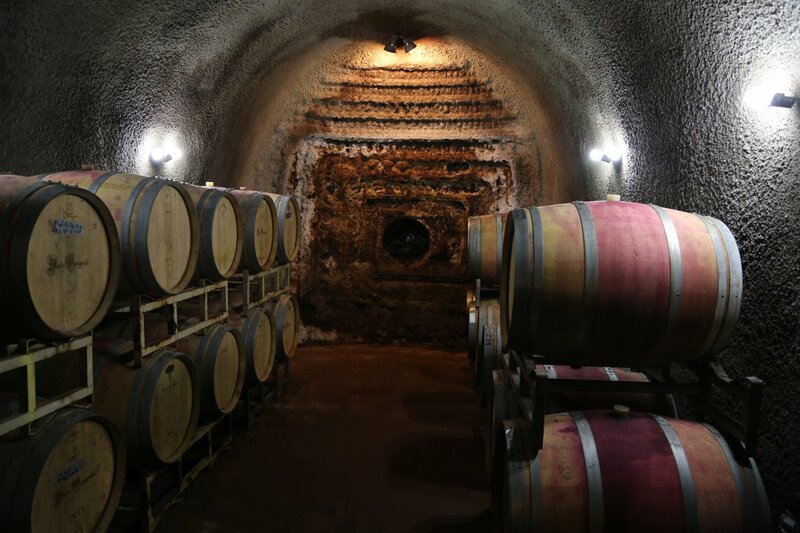 Under their ownership is the Alta Terra Vineyard (the original vineyard the family purchased in 1978), Lake Vineyard (next to the physical winery), Park Muscatine Vineyard and their most recent acquisition in 2018, Eagle Summit Vineyard. The Park Muscatine Vineyard was previously owned by Charles and Doris Muscatine. The Muscatine’s were culinary experts. Doris was one of California’s food and wine culture pioneers – having wrote a number of culinary books including co-authoring the thick book “The University of California/Sotheby Book of California Wine” with Maynard A. Amerine and Bob Thompson. This vineyard originally produced Carignane and Zinfandel. Well known, Ridge Vineyards made wine from this vineyard in the early 1980s. 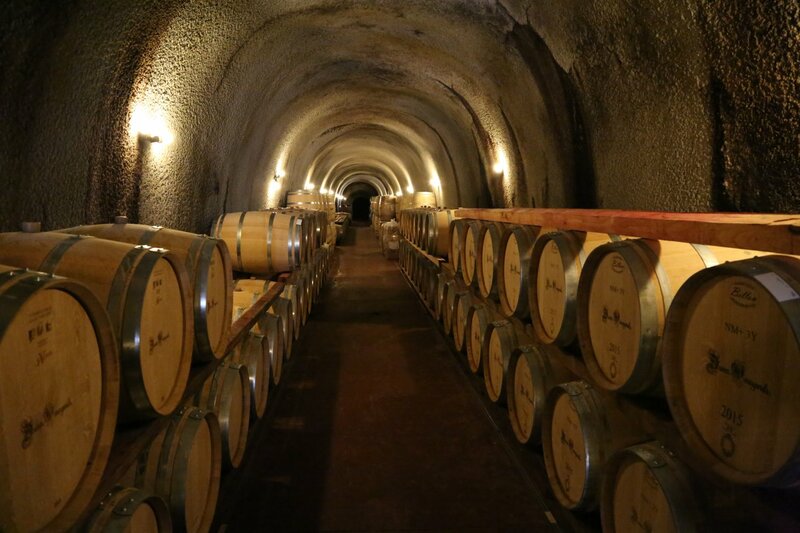 As Dunn Vineyards outgrew their storage facilities they built a cave for barrel storage in 1989. Since the early 1980’s they have always specialized in two types of single varietal wines, a Howell Mountain Cabernet Sauvignon and a Napa Valley Cabernet Sauvignon. Both wines are not blended – they are 100% varietal. As of the time of this review, their total production is about 5000 cases annually. We recently had the opportunity to try the 2004 Dunn Vineyards Howell Mountain Cabernet Sauvignon. It is crimson ruby in color with an elegant nose showing dark chocolate and even nuances of raspberry as the bouquet opens. There is a lot of fruit in this wine especially up front with black currant and plum flavors. The tannins are dusty and structured – there are rich layers of flavor in the wine, good acidity and good structure. 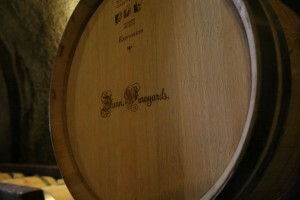 While full of flavor now, this wine needs some time to cellar and it will continue to evolve and show new complexities. The 2002 Dunn Vineyards Napa Valley Cabernet Sauvignon shows notes of red cherry, baking spices and hints of mocha on the bouquet. After 13 years this wine still shows bright lively aromatics and smells younger than it actually is. The wine is becoming balanced with tannins that perhaps have softened over time – and are now fairly well integrated into the structure of the wine (lingering pleasantly for some time). On the palate notes of red cherry and cranberry show anchored by a nice acidity. 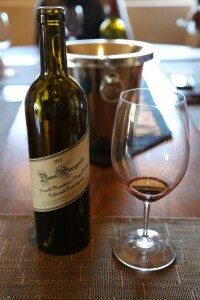 The 2011 Dunn Vineyards Howell Mountain Cabernet Sauvignon shows good character on the nose with layers of aroma – a dusty nuance and slight pepper component. On the palate the wine is mouth watering and juicy – great acidity with broad shouldered (somewhat chalky) long lasting tannins that perhaps aren’t as robust as some of the other young Dunn wines we have tried. Note the unusual design and placement of the labels – they are set on the bottles at an angle and spiral around the bottle. This design has not changed since the founding of the winery. In addition their Howell Mountain Cabernet Sauvignon is always coated with wax, which definitely makes it stand out while their Napa Cabernet has a foil seal. 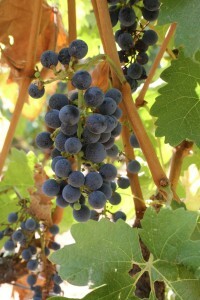 Their Napa Cabernet Sauvignon tends to have softer tannins whereas their Howell Mountain Cabernet Sauvignon is a bigger wine with larger tannins and more fruit. 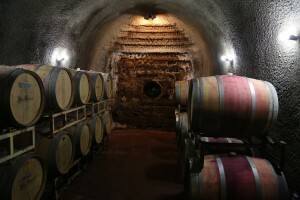 Both wines are built to age for a long time and will only become more complex if you are able to cellar these – but can certainly be consumed now. Dunn keeps the alcohol percentage in his wines lower than most area vintners, typically in the high 13 range which is done by several processes including de-alcoholization, a process that can be conducted by reverse osmosis. Each vintage is different of course and some years they are able to pick early enough that no manipulation is needed to keep the final alcohol reading below 14%. Randy’s focus is on terroir driven wines; his philosophy is that you need to be able to taste where the wines are from. When you have wines high in alcohol you lose the distinguishing characteristics that allow you to distinguish the “home terroir”. In addition, his wines are not trophy wines meant to catch the high scores or wines that will put you under the table due to the high alcohol as they are made to be enjoyed with food. As Randy told us, they are not “cocktail wines”! He has developed a style of wine that is often enjoyed by collectors – these are wines that are meant to be aged. We have enjoyed some of his wines 10-15 years old and they are still very much full of life – the tannins have smoothed out during this aging but are still structurally very noticeable. Even after a decade+ of aging, some of these wines probably can go another decade+ before peaking.